Due to his position as a celebrity and film artist, Chaplin was no stranger to public scrutiny and critique. Early in his career, he was castigated for not serving in World War I and then for a troubled marriage or two. And then there was the issue of taxpaying that seemed to plague him throughout his life in America. These are not the only areas of public critique, but are perhaps the most well known. Lesser-known and/or summarily forgotten is the controversy Chaplin endured in order to be decorated by the French government. His goal was always to receive the highly-regarded Légion d’Honneur medal, equivalent to an English knighthood, but his acquisition of this medal and its attendant respect and honor took nearly ten years and probably ten times the difficulty it needed to. Chaplin received the medal on March 27, 1931. The new order, due to the initiative of the First Consul Bonaparte, consisted of an elite cohort combining the courage of servicemen and talents of civilians, which was to form the basis of a new society to serve the Nation. Fast forward ten years to Chaplin’s next tour of Europe, 1931/2. 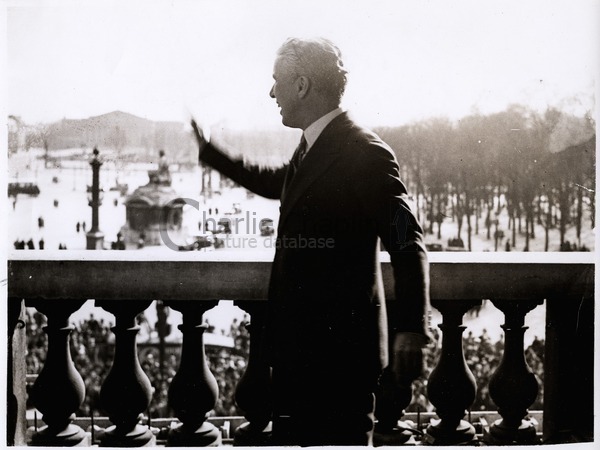 Chaplin and his entourage cut short his trip to Venice in order to be decorated—THE DECORATION this time– in Paris on March 27th and which this time had been secured by the devoted French caricaturist Cami and his friends. 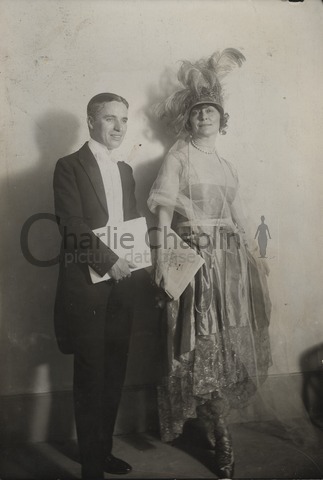 Desiring either to avoid any more controversy or simply to show his humility, Chaplin mentions the event in his travel memoir “A Comedian Sees the World” only very briefly: “M. 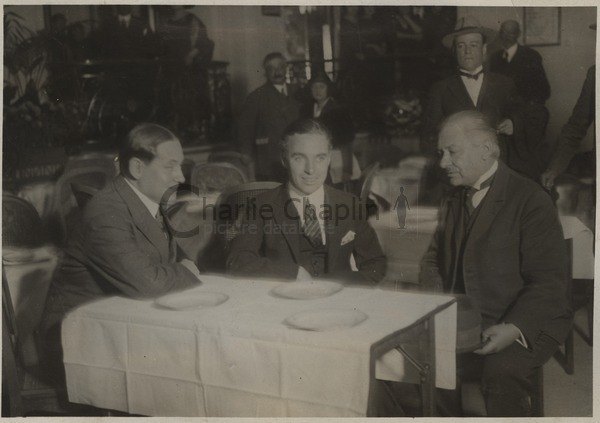 Berthelot, the Permanent Secretary of the French Cabinet, was there [at the luncheon given in Chaplin’s honor at the French Ministry Building] also. He was the gentleman who afterward decorated me” (Part II). The press, however, were less hesitant to discuss the event. In the Seattle Post-Intel’s “Charlie Chaplin’s Troublesome Legion of Honor Medal,” dated July 26, 1931 (news traveled slowly in the days before the Internet), the reporter notes that “the conferring of the rank of Chevalier of the Legion of Honor upon Charlie Chaplin threatens to put an end to all similar honors by wiping out this order, which was founded by Napoleon Bonaparte.” While other headlines echoed the sentiments of “Why Should the Red Ribbon Tinged with Blood of Heroes Be Bestowed on a Clown?” the Post-Intel reporter states that “far from being in any manner unworthy, he is probably the most worthy to receive the decoration in a long time, but he received it just as France was boiling with indignation for what had gone before and what was expected to come.” Other more questionable recipients included a lady inventor of French cheese, the distinguished cook M. Escoffier, and Madame Cecile Sorel, an actress. To make matters worse for Chaplin, African American cabaret singer/dancer Josephine Baker was spreading the rumor at the time (later completely true) that M. Berthelot had promised to bestow the same honor on her in a short time. Would there be no end to this heresy? It’s unfortunate for Chaplin that such a moment had to be so short-lived. Despite the controversy surrounding his decoration, however, I’m sure any amount of negative press at such an event seemed negligible compared to Britain’s handling of Chaplin’s consideration for knighthood—an honor he was supposed to receive on the same tour, but received instead some 44 years later in 1975. How must Charlie have felt, even on the voyage over to Britain on the Mauretania, knowing that his fellow passenger, land speed record holder Malcolm Campbell (yes, a race-car driver), was to receive his knighthood practically upon his landing in Southampton, when he himself was surely to be denied the same honor?